Howard was born in 1940 in Irvington, New Jersey. He graduated from Rutgers University in 1961 as a psychology major (after spending his first two years studying physics at Caltech). He did his graduate work at the University of Michigan. His advisor was Paul Fitts, but he also benefitted greatly from many other members of the faculty such as Arthur Melton, Jack Atkinson, Dave Birch, Dan Weintraub, Ward Edwards, Clyde Coombs, and Spike Tanner. He benefitted at least as greatly from interactions with his fellow students, including Ed Smith, Irv Biederman, Bob Crowder, and Amos Tversky. He has also learned a lot from his wife, Sylvia, and his two children, Jill and Marc, both of whom have earned Ph. D.s in psychology. Howard is a fellow of the Society of Experimental Psychologists, the American Psychological Association, and the Association for Psychological Science. He has served on the Governing Board of the Psychonomic Society, and was its Chair in 1996. He has also served as President of Division 3 of the American Psychological Association. 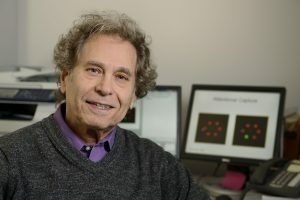 He was President of the Federation of Behavioral, Psychological, and Cognitive Sciences, and was also President of the Foundation for the Advancement of the Behavioral and Brain Sciences; after some name changes and a consolidation, these two organizations are now FABBS (Federation of Association in the Behavioral & Brain Sciences). * FABBS would like to thank Dr. Jeremy Wolfe for nominating Dr. Egeth for this honor and for leading the effort to spread the word about his nomination. Would you like to honor Dr. Egeth? It’s not too late to have your name added to the list of donors! You can make your donation to Dr. Egeth’s In Honor Of… campaign at anytime.